Meesam-e-Tammar was a slave belonging to a woman of Bani Asad. Imam Ali (as) purchased this slave from the woman and set him free in the way of Allah (SWT). He used to sell dates in Kufa Market and on this account he was known as Meesam-e-Tammar. Imam Ali (as) asked Meesam: “What is your name”? “Saalim”, he replied. Meesam was astonished because no one knew his real name. So, he said: “Allah (SWT) and His prophet are truthful.” Since that day, Meesam had not left Imam Ali (as). Meesam-e-Tammar was a man of high character and a true lover of Allah (SWT), Prophet Muhammad (saw) and his Ahlul Bayt (as). He lived a simple life. Two things grew in his heart: faith in Islam and love for Imam Ali (as). Imam Ali (as) taught him that Islam was the only way to freedom. During the period of the martyrdom of Muslim bin Aqeel (as), the other significant events, which occurred, are the martyrdom of Meesam-e-Tammar and Rushayd al-Hajari. Besides it is appropriate that we quote here the martyrdom of Hujr bin Adi and Umro bin Humaq. Meesam-e-Tammar used to take lessons from Imam Ali (as) and Imam Ali (as) acquainted him with a good many secrets of the faith. Imam Ali (as) taught him many branches of knowledge which included ilm-e-Manaya wal Balaya (the knowledge of death and future calamities) and ilm-e-Taweel (Interpretation and exegesis of Glorious Qur’an). At times with the permission of his master, Meesam-e-Tammar used to acquaint the public about the deep secrets learnt by him. At times on account of the frank speech of Meesam-e-Tammar people used to think that Meesam had lost his head. They could hardly understand the depth of his words. Once Imam Ali (as) told him that he (Meesam) would be hanged on account of love for his master. He also gave the address and told him that he would be hanged in a farm next to the house of Amr ibn Huraith. The tree on which he would be hanged was the smallest of the ten trees existing in the farm at that time. Meesam was also informed that his tongue would be cut out because he would not stop praising his master [Imam Ali (as)]. After getting this information, it is recorded in history that, Meesam-e-Tammar used to go to the palm-tree until it was cut down, and then he looked after its trunks pointed out by Imam Ali (as), clean the place and water the trunk and offer prayers saying, “Oh tree! You are for me and I am for you. Meesam-e-Tammar had visited the palm-tree for more than twenty years. Meesam-e-Tammar would go to Amr ibn Huraith and say, “I will be your neigbour, thus fulfill the rights of neighborhood well.” Amr ibn Huraith would not understand his meaning and would ask, “Do you intend buying the house of Ibne Mas’ood or Ibne Hakeem”? Meesam kept silent. Amr ibn Huraith was puzzled. He wondered: What does Meesam mean? Months and years passed by, Imam Ali (as) was martyred then Imam Hassan (as) was martyred and Meesam-e-Tammar kept waiting for the time. Finally came 60 AH when Ubaidullah ibn Ziyad was appointed Governor of Kufa, Iraq. Ubaidullah ibn Ziyad ordered Meesam to be jailed. 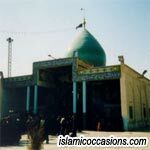 Meesam, al-Mukhtar al-Thaqafy, and Abdullah bin al-Harith were in the same prison.Imam Hussain (as) died a martyr for Islam. The prisoners felt pain for him. When Ubaidullah ibn Ziyad called for al-Mukhtar to be killed, a message arrived from Yazid ordering him to free al-Mukhtar. He released him and ordered Meesam to be crucified. Meesam-e-Tammar was brought to the same tree to be hanged as pointed out by Imam Ali (as). Meesam began singing the praises of his master, and about a thousand people gathered to see Meesam being hanged. Amr ibn Huraith saw Meesam. Amr ibn Huraith remembered Meesam’s words: “I’ll be you neighbour. Treat me kindly.” So, Amr ibn Huraith ordered one of his daughters to sweep the ground around the palm trunk. He also ordered her to splash it with water. Meesam said with a smile. “By Allah (SWT), this palm trunk has been created for me! And I’ve been created for it.” Thus, the people knew the secret of Meesam’s visit to the palm-tree throughout the long years. Even after being hanged, the tongue of Meesam went on singing the praises of Imam Ali (as). Ubaidullah ibn Ziyad was informed about this and the tyrant ordered that the tongue of Meesam is cut and thus the prophecy of Imam Ali (as) came true and Meesam-e-Tammar died after his tongue was cut out. Six years passed. 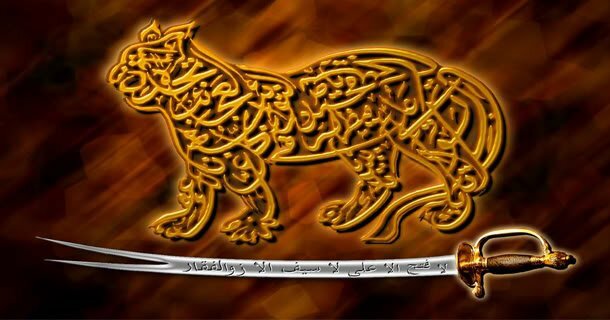 Al-Mukhtar announced his revolution in Kufa to avenge the massacre of Karbala. 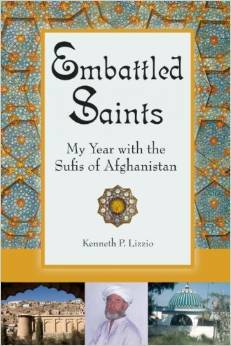 His army met Ubaidullah ibn Ziyad on Riverbank. Ibrahim al-Ashtar could behead Ubaidullah ibn Ziyad. Days passed. Imam Hussain’s killers perished. People have cursed them throughout history. Today, the visitor leaves the Holy Najaf City. He goes to see Kufa ruins. On the way he sees a beautiful dome. The dome decorates Meesam’s shrine.